Gone are the days of spoon-feeding my bibbed babies! I gotta say, it’s SUCH a relief that my kids can feed themselves! I can actually sit and eat HOT food alongside them! The thing is, looking back, I did so many things wrong. I was so tired and I just didn’t know better. I would make macaroni, fish sticks, and chicken nuggets constantly. It made my kids happy and it took zero effort for me. I trained their taste buds to crave junk. Once I learned how important it is to eat healthy (you know, the foods God grows), it was a challenge to retrain my kids. Vegetables, are you kidding me? Meat, is this a joke? No fried foods, say whaaaa? I was determined to improve our nutrition, regardless of the tears shed along the way. I had to teach them the power of healthy food. Side note, we do not eat perfectly yet, but we’ve made great strides. Fish sticks became fresh salmon. Frozen chicken nuggets became baked chicken. It took a while for my kids to not flip out, to be honest. And even today they try to whine over some foods. 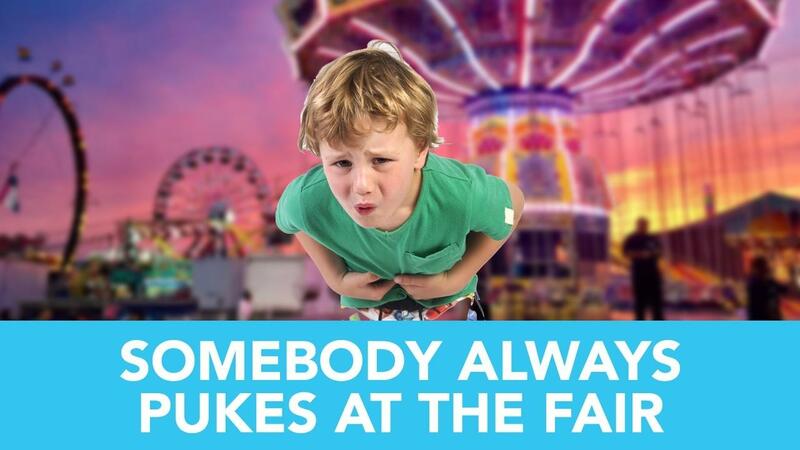 I also remind them that somebody always pukes from the fair that comes into town each year with its fries, candy apples, deep fried everything, and cotton candy. What I started doing is having my kids become a part of the process in the kitchen. My 5 year olds began packing their own school lunches (if you think I’m packing 20 lunches a week, you’re crazy). I let my kids help select produce at the grocery store. One week we had a kid cook-off that was SO MUCH FUN! They picked their meal’s protein and veggies (no junk allowed) and we judged who made the best meal (the winner, “Joshua Delicious,” still brags). I started having them help with meal prep (many hands make light work). Yeah, it’s messy, but messes can be cleaned up (keep paper towels and a trash can nearby). I taught them how to hold a spatula when cooking eggs. I taught them how to peel and chop apples for apple crisp. I showed them how to measure for overnight oats in a jar. My goal is to raise 4 men who will one day wow their wives with culinary skills. They need to know their way around a kitchen, and it starts NOW. Start with small, easy tasks where your kids help. This helps them become more likely to eat the meal! Everyone wins! One great start is to use a crockpot. That way, there’s no risk of a child getting burned or cut. Have them dump the ingredients in, stir every few hours, and delight in the meal they made! Want some free crockpot recipes? Click HERE to snag those now! You are affecting your kids both now and later, which is kind of a big deal! You rock, Mom!